In this article, we take a look at this cool little Angular library, and the various methods it allows you to work with, as a way of exploring MVC. This article demonstrates how to create MVC applications using Angular UI-Select with Bootstrap. This article is useful for implementing auto-complete text in your application. 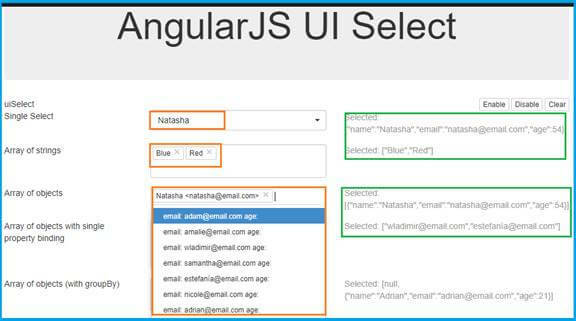 Angular UI-Select is used for customizing the select box or text, with the support for searching the user’s character or words in the bundle of data. Search, single select/multi select, tagging. Multiple themes: Bootstrap, select 2. It will work with keyboard search. Go to New menu and click New >> Project. Now, it will open a "New Project" window. 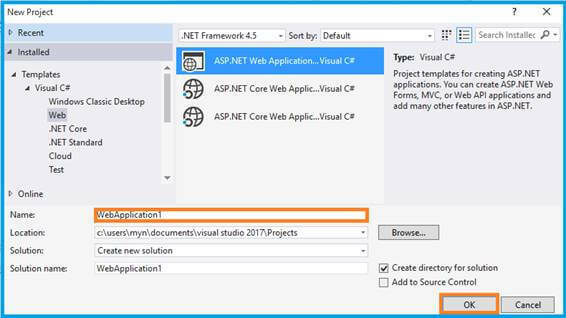 You can select ASP.NET Web Application on Framework 4.5. Enter the name of the project in “Solution name” textbox and click OK.
One more window should appear. Select MVC Template in this popup and click OK.
You can download the plugin from Angular UI Select or install it using NPM. Open the _Layout.cshtml and refer the .js file from downloaded folder to this View page. Link your Angular configurable file here. Now, you need to include the module as a dependency in your application. With Angular UI-Select, you can use some different methods. An array of single select. An array of objects with single property binding. It will allow you to enter single values, such as names, email addresses, and age. Here I will use Bootstrap themes. You can select multiple results in this list and bind them as a color list. The model will take an array as a string. Here, you must use the directive group-by="someGroupFn". Click the play button on VS 2017, and run the application. Now it will appear in the browser and you can see the results. 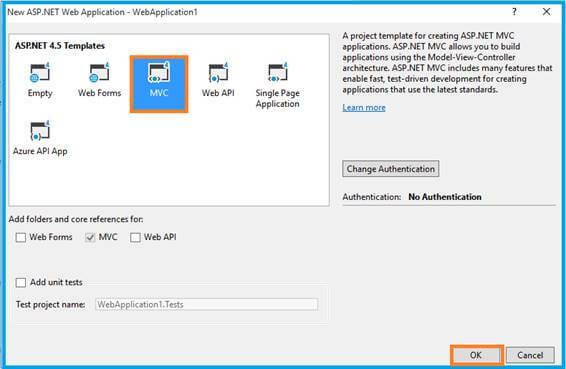 In this article, we have learned about MVC using Angular UI select. If you have any queries, please tell me through the comments section, because your comments are very valuable.